One for all, all for one – in 2009 the Competence Center ISOBUS e.V. 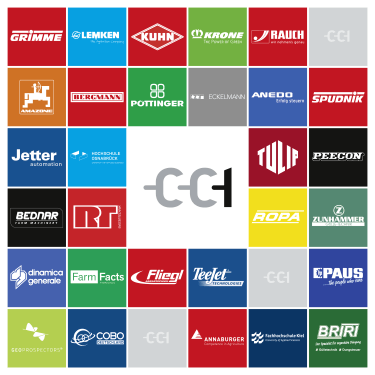 was founded under this motto by the competitors AMAZONE, GRIMME, KRONE, KUHN, LEMKEN and RAUCH to manifest their vision of a cross-manufacturer co-operation. Nine years of joint development of innovative electronics are proof: Teamplay Works.